One and a half years ago the Hub already protested against the obvious threats to free science in general and a high quality – and free – university like the CEU in particular by the president of an EU (!) member state. “If science has to subordinate to right wing politics, the fall of civil rights is within reach,” CSH president Stefan Thurner said in April 2017. We all are sad and concerned that this statement has been proven correct. 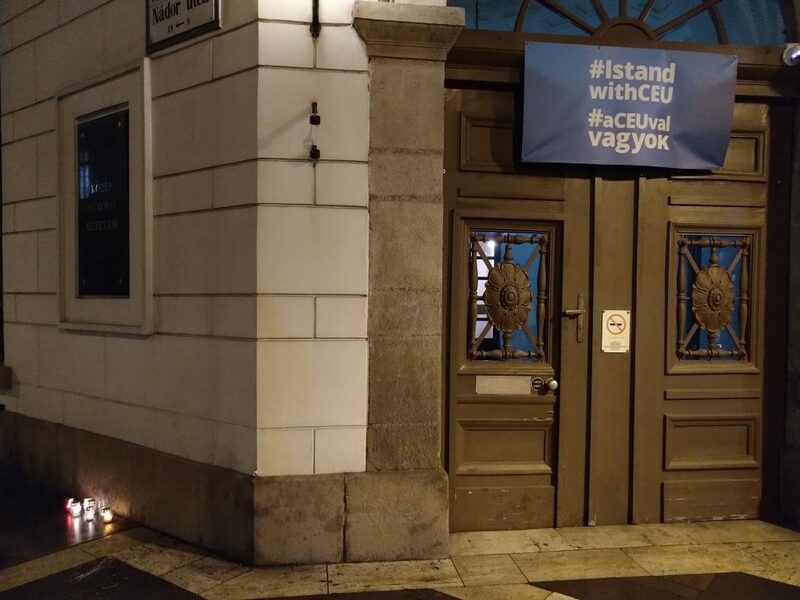 CSH Faculty member Peter Klimek found signs of mourning outside of George Soros' university (Budapest, Dec. 2018).